After being removed as GM in 2015, he could have just quit. Thank God he didn’t. Remember [TRIGGER WARNING] the Chip Kelly era? We didn’t know it at the time, but things were dark — and about to get much darker. 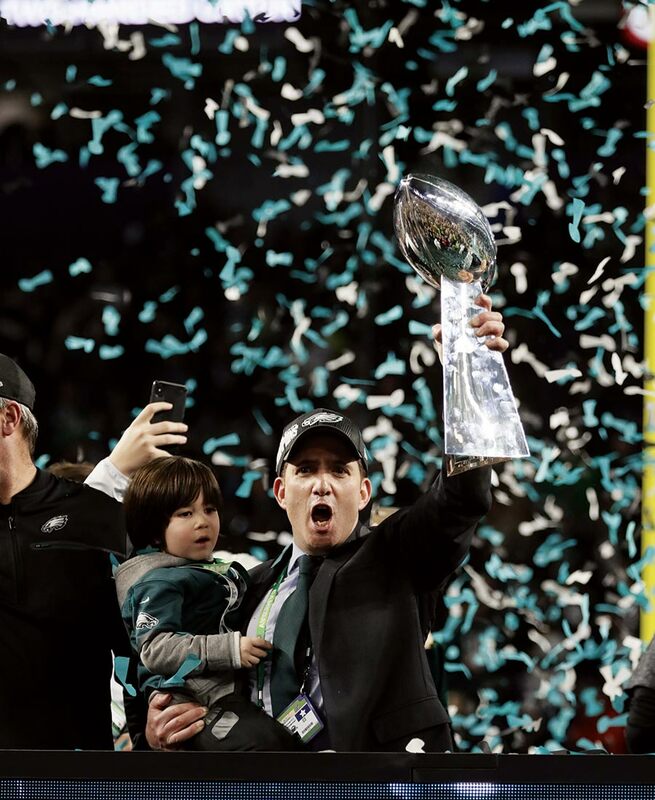 It was January 2nd, 2015, and the Eagles had just given total roster control to their madman of a head coach, leaving Howie Roseman, the Birds’ GM since 2010, on the losing end of a festering power struggle. Stripped of his title and his pride, then shuttled into the football equivalent of a no-show job, the beleaguered stats geek could have lashed out, gone to work for a rival, or just quit. Instead, he did the last thing you’d expect in the high-testosterone world of the NFL: He licked his wounds and stuck it out with the organization that had just demoted him. Not quite a year later, when the Chip Kelly Express went hurtling over the cliff, Roseman, the good soldier, stepped back in to pick up the pieces. It’s still hard to grasp that this guy, who spent his time in exile burnishing his people skills, was able to rebuild Kelly’s smoldering wreck in just two off-seasons. In as apt a tribute to Howie as we can think of, the Super Bowl was sealed in the final minutes when Tom Brady was strip-sacked by Brandon Graham, a man widely derided by the fan base when he underperformed as Roseman’s first-ever first-round pick. Just another hardworking guy who stumbled on his way to the mountaintop.